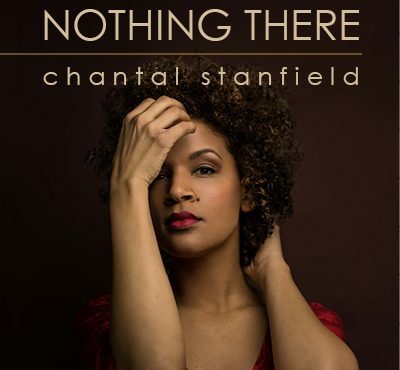 Chantal Stanfield’s follow-up single “Nothing There” takes the funk-pop elements of her debut single “Walk If Off” and merges them with a driving beat to create something at once familiar and moving. This deep, soulful house track’s lyrics speaks to the gnawing dilemma of a relationship that has hit a plateau of misery. This multi-talented actor, singer, dancer, voice-artist and all-round performer is no stranger to the entertainment industry and has graced numerous South African and international stages, big and small screens, and studios for 13 years after graduating with a Theatre and Performance degree from UCT in 2005.
he’s shone in her various lead roles on soapies Getroud Met Rugby, Sewende Laan, SIES, Geraldina die Tweede and short film Coke Town and new feature film Farewell Ella Bella. Not content with only film and television, her CV includes various tribute and cabaret show seasons in the Seychelles, Spain, Turkey and the UK including her own cabaret Ladies First. Her leading stage work includes Mixed Metaphors, Die Sideboard, Six Characters in Search of An Author and her own one-person comedic play From Koe’siestes To Kneidlach (which has enjoyed three successful runs in the last year). In the year of 2018, we are lucky that Chantal is finally tackling her love for music and songwriting head-on and showcasing her wide range of musical influences as a solo artist, first with “Walk If Off” and now with “Nothing There”. Her debut single “Walk It Off” has, at time of print, reached the Heart 104.9 Top 10 at no.3 and the Heart Top40 at no.22 (jumping almost ten spots in one week) – arguably one of the most influential charts in the Western Cape. It went on to be playlisted on East Coast Radio, Hot 91.9, VOW, One Fm, Massiv Metro, Sun International, PicknPay, Clicks Radio, Radio KC, Jamza, Alex, Vibe and Pep Music Radio. “Nothing There”, with its yearning vocals and irrepressible beat, is produced by RJ Benjamin. It is sure to continue her upward trajectory and further cement Chantal Stanfield as a musical artiste to take absolute note of.